The Great Oklahoma Classic for March 2018 belongs to Raymond and Betty Langley of Newalla Oklahoma. 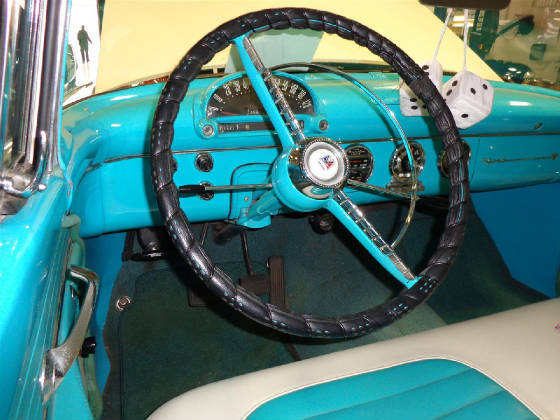 They are charter members of a wonderful Oklahoma Car Club known as the Canadian River Cruisers. 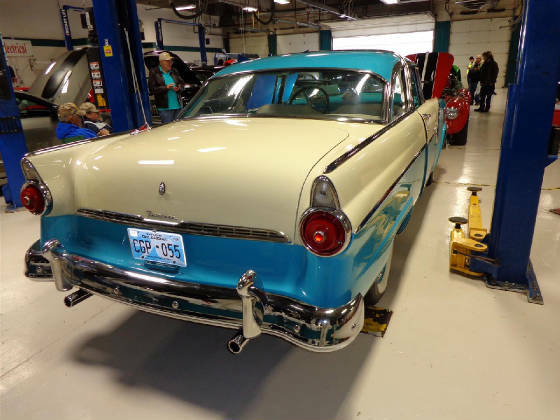 We were able to visit with Ray about his Classic Ford Fairlane Crown Victoria at the Annual Central Tech Auto Show, held yearly in Drumright Oklahoma along with the Central Technology Center’s Annual Open House. 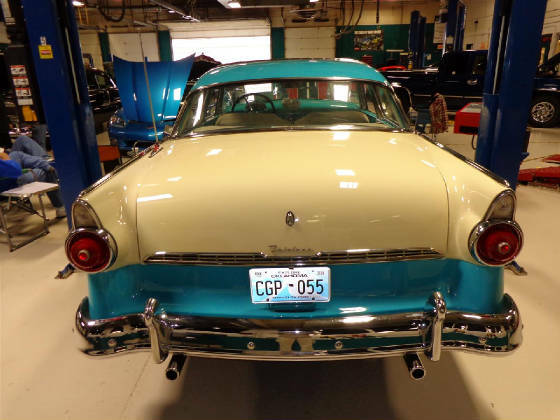 Ray’s first car was another 1955 Fairlane Crown Victoria which he has always wanted to replace. Ray found the old Ford in an Oklahoma City auto salvage in 2004. It was literally a basket case. 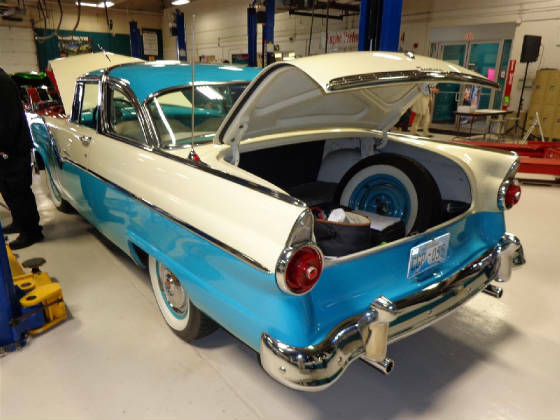 He purchased the 55, a parts car and a trailer full of parts. 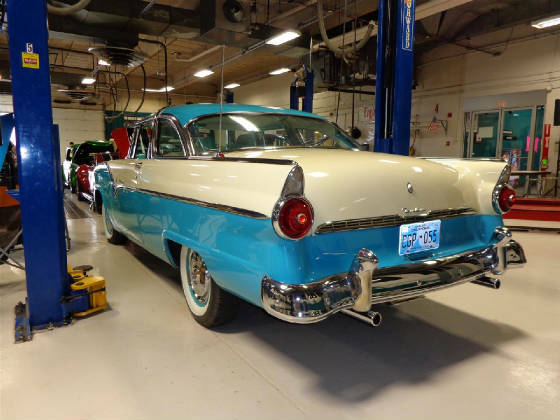 The work soon began to bring the Fairlane Crown Victoria back to better than new condition. The excellent paint and body work on the Ford Classic was done by Susan Miller of Pink Oklahoma. 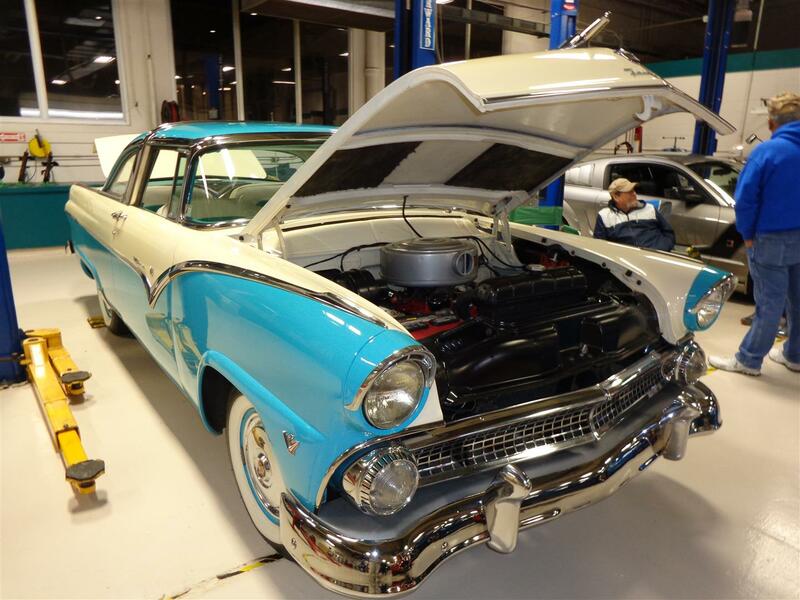 As you can this classic Fairlane is straight! 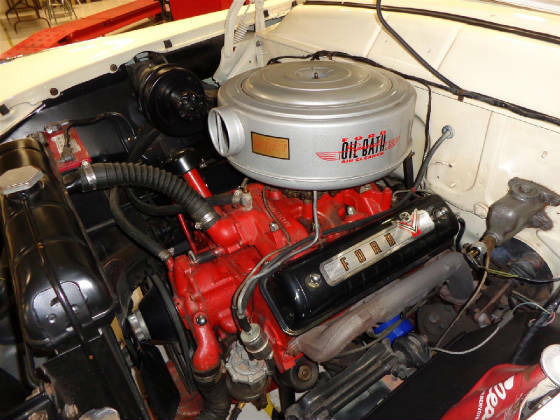 Ray and Betty’s son, James, did the rebuild on the Ford 272 cubic inch V8. The Ford specs on the 272 show 162 horsepower and 258 pound-feet of torque. 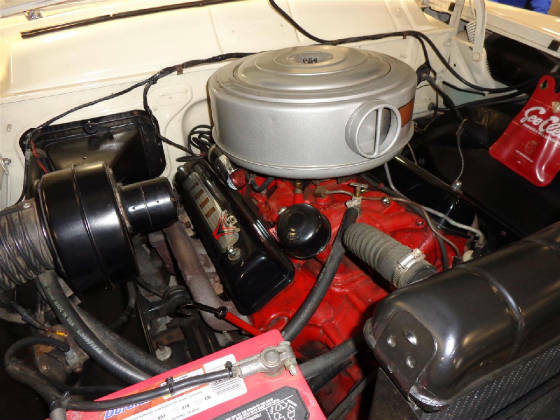 The 272 V8 is coupled to a three speed standard transmission with column shift. 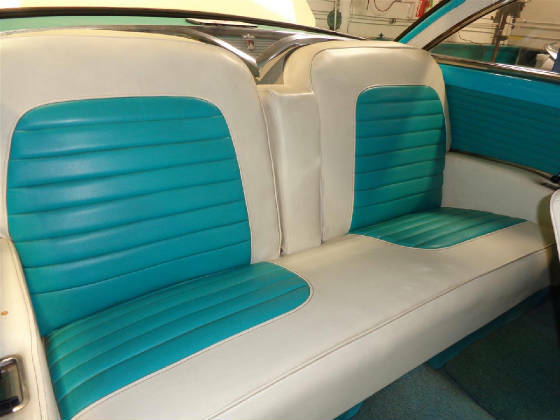 Ray completed the interior himself by using an interior kit from LeBaron Bonney Custom Auto Interiors. 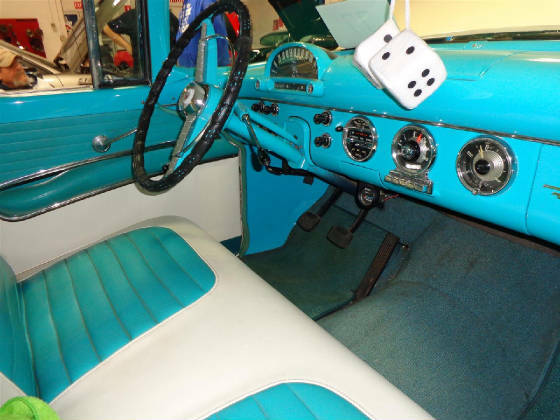 As you can see, the interior is better than when it left Ford. The Classic Ford rides on fifteen inch painted blue wheels with the original looking Ford hub caps and of course classic wide white wall tires. Ray cleaned and polished all of the stainless steel parts, which he brought back to like new condition. 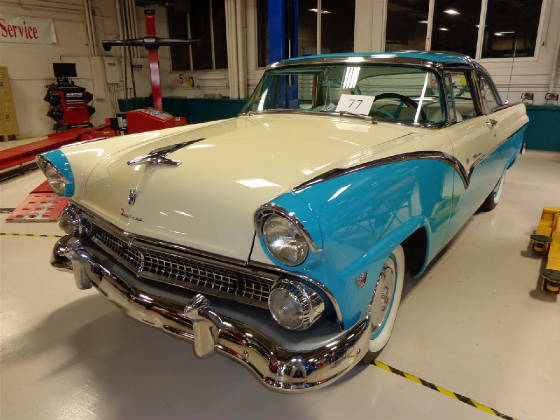 The Cimarron Starlite Cruisers sincerely appreciate Raymond and Betty Langley of Newalla Oklahoma for sharing their 1955 Ford Fairlane Crown Victoria as our Great Oklahoma Classic for March 2018!